The English Historical School of Economics, although not nearly as famous as its German counterpart, was a significant movement in nineteenth century economics. These scholars sought a return to inductive methods in economics. In this, they were staunch opponents of the abstract construction of the classical economists such as David Ricardo and John Stuart Mill. The school considered itself the intellectual heirs of past figures who had emphasized empiricism and induction, such as Francis Bacon and Adam Smith. Included in this school are William Whewell, Richard Jones, John Kells Ingram,Thomas Edward Cliffe Leslie, Walter Bagehot, Thorold Rogers, Arnold Toynbee, William Cunningham, and William Ashley. As the school revered the inductive process, the members invariably called for the merging of historical fact with those of their contemporary period. It can be noted that the members of this school were well versed in history, in some cases much more so than in economics having trained for the ministry; several were also trained in mathematics. Their lasting contributions, unsurprisingly, are not in terms of advances in economic theory. Rather, they made advances in quantitative methodology, including some pioneering methods of mathematical economics, and in guiding the study of economics toward finding solutions to important contemporary issues, those that orthodox theory could not handle, through emphasis on applied subjects and economic history. The English Historical School (EHS) considered itself the intellectual heirs of past figures who had emphasized empiricism and induction, such as Francis Bacon, Adam Smith, Auguste Comte, and Herbert Spencer (Cliffe Leslie 1870, Rogers 1880). John Kells Ingram, one of its early adherents, in decrying the state of political economy in England suggested that a revolt had already occurred elsewhere. He noted that economists in Germany had rejected the methods and doctrines of the Ricardians, implying that the German Historical School could be introduced as an alternative. However, none of those who became part of the English Historical School referred directly to the work of any of the Germans (Tribe 2002). Strictly speaking, and despite the English label, two of the group’s most notable representatives, the above-mentioned Ingram and Thomas Edward Cliffe Leslie, were not English but Irish. This has led some economic historians to an argument that English historical economics was not only developed by Irish economists, but that it was a direct response to Irish economic conditions, for the gap between economic theory and reality was particular evident in Ireland (Koot 1975: 312-313). On the other hand, Ingram and Leslie and, for that matter, William Cunningham of Scotland, all considered themselves "English" not "British" members of the EHS group of socio-economic and historical thinkers. Leslie clearly identified himself, and other Irish and Scottish economists, as English (Backhouse 2001). Their professional background is even more interesting. Jones, Rogers, and Cunningham started their careers in the ministry, as ordained clergy, and Whewell, the polymath, held a mystical view that we are able to have knowledge of the world because the "Fundamental Ideas" which are used to organize our sciences resemble the ideas used by God in his creation of the physical world. That is, God has given us our ideas (or, rather, the “germs” of the ideas) so that “they can and must agree with the world” (Whewell 1860: 359). Ingram, on the other side, was not an economist at all; he was professor of Greek at Dublin. However, all of them were, first of all, noted historians while three of them (Whewell, Jones, and Rogers) were accomplished statisticians and/or mathematical economists (Reiner 2004). Richard Jones (1790-1855) was a British economist and clergyman, famous for his criticism of David Ricardo and his insistence on the historical relativism of political economy. His major work is An Essay on the Distribution of Wealth and on the Sources of Taxation (1831). Successor to Malthus in the chair of political economy and history at the East India College at Haileybury, Jones attacked the Ricardians for their theory of rent, their wages fund doctrine, their lack of empirical content and pretensions to "scientific" universalism. The inductivism of Francis Bacon played a key role in the development of Jones' economic ideas. He thus criticized Ricardo for his deductive method and generalization of laws of economics. Jones believed that economic theories needed to be rooted in empirical data and employed contemporary and historical facts in his work. He was highly influential on William Whewell. William Whewell (1794-1866) was one of the leading figures of nineteenth-century science. Whewell's wide range of activities and expertise make him particularly difficult to label, other than as a polymath. He wrote authoritatively on architecture, mechanics, mineralogy, moral philosophy, astronomy, political economy, and the philosophy of science. Whewell was a close friend of Richard Jones, and his theoretical work on induction supported Jones' inductive methodology. His best-known works, History of the Inductive Sciences (1837) and The Philosophy of the Inductive Sciences, Founded Upon Their History (1847), attempted to systematize the development of the sciences and set forth an inductive philosophy of science intended as a “renovation” of Francis Bacon’s method. John Kells Ingram (1823-1907) was an Irish poet, patriot, and scholar, a professor of Greek at Trinity College, Dublin, as well as an economist and historian of economic thought. He was not a trained economist per se, but rather a sociologist and follower of French sociologist Auguste Comte. His major work is History of Political Economy (1888), in which he used the term "economic man" as a critical description of the human being as conceived by economic theory. Ingram was very much influenced by the German Historical School and, as such, an opponent of the materialism, ideology, and scientism—the view that natural science has authority over all other interpretations of life and over other fields of inquiry, including the social sciences—that were the foundations of Classical theory. James Edwin Thorold Rogers (1823-1890), an English economist and Member of Parliament, was educated at King's College, London, and Magdalen Hall, Oxford. After taking a first-class degree in 1846, he was ordained and was, for a few years, a curate in Oxford. Simultaneously with these occupations he had been diligently studying economics, with the result that in 1859 he was appointed professor of statistics and economic science at King's College, London, a post which he filled till his death. He deployed historical and statistical methods to analyze some of the key economic and social questions in Victorian England. His major work, the six-volume History of Agriculture and Prices in England from 1259 to 1795 published 1866–1902, is a minute and masterly record of the subject, and the work upon which his reputation mainly rests. As an advocate of free trade he distinguished himself from some others within the English Historical School. Thomas E. Cliffe Leslie (1825-1882) was an Irish economist, professor of jurisprudence and political economy in Queen's College, Belfast. It was Leslie who, in 1870, posed the most radical challenge to the Ricardian orthodoxy in political economy represented in their day by John Elliot Cairnes 1823-1875), another Irish economist, and Henry Fawcett, of Cambridge. Cliffe Leslie defended the inductive method in political economy against the attempt to deduce the economic phenomena of a society from the so-called universal principle of the desire of wealth. Leslie developed the idea of "consumer sovereignty" (the rule or sovereignty of purchasers in markets as to production of goods), but insisted that the analysis of demand should be couched in historical and institutional terms. He was considered to be the man who provided “the first systematic statement by an English writer of the philosophic foundation of the historical method” (Ingram 1967). Walter Bagehot (1826-1877) was an English economist, social theorist, and literary critic and, also, virtually the founder in England of political psychology and political sociology. He was absorbed with the problem of national character and saw the convergence between culture, social structure, and personality structure. 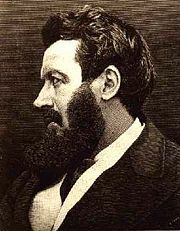 In his contributions to sociological theory through historical studies, Bagehot may be compared to his contemporary Henry Maine. Bagehot did not directly oppose Classical economics, but advocated for its reorganization. He claimed that economics needed to incorporate more factors in its theory, such as cultural and social factors, in order to be more accurate in theorizing about economic processes. In 1857, he met James Wilson, founder and editor of The Economist, a political, literary, and financial weekly. Bagehot married Wilson's daughter, and when Wilson died suddenly, Bagehot became managing director and then editor, a post he held until his death. Under his leadership The Economist became one of world’s leading business and political journals, and a vehicle through which ideas of the EHS were promulgated. William Cunningham (1849-1919) was born in Edinburgh, Scotland, and educated at Edinburgh Academy and the University of Cambridge. Ordained in the same year as his graduation, he served as chaplain of Trinity College, Cambridge, later became vicar of Great St Mary's, Cambridge, and then archdeacon of Ely. As an economic historian he held several positions including professor of economy and statistics at King's College London and lecturer in economic history at Harvard University (1899). His major work, Growth of English Industry and Commerce (1882) is the one that has shown permanent value. It went through seven editions by 1910 and was long the standard work on the subject, providing useful information about the Middle Ages. Apart from and, possibly, because of it, Cunningham is given credit as a pioneer in producing an organized survey of English economic history. Cunningham was a critic of the nascent Neoclassical economics, particularly as propounded by his colleague, Alfred Marshall, and his Cambridge School. 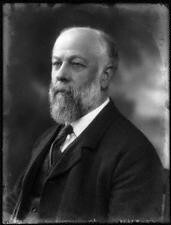 Cunningham's eminence as an economic historian gave special importance to his support of Joseph Chamberlain from 1903 onwards in criticizing English free trade policies and advocating tariff reform. 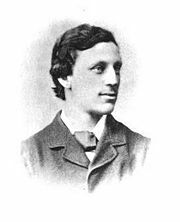 Arnold Toynbee (1852-1883) was the first to historically identify and name the British "Industrial Revolution" in the Anglophone world. His major work is Lectures on the Industrial Revolution in England, published posthumously in 1884. Toynbee was a thorough historicist and adhered to the inductive method. According to Toynbee, applying the historical method in economics would reveal how supposedly universal economic laws were in fact relative. For example, he argued that, in spite of commonly held beliefs, free trade was not generally advantageous in itself, but only under certain circumstances. Also known as a social activist and humanitarian, Toynbee was actively involved in improving the living conditions of the workers in large industrial centers and encouraged the creation of trade unions and cooperatives. Inspired by Arnold Toynbee's ideas, Samuel Augustus Barnett and Henrietta Barnett named the first university settlement Toynbee Hall in his honor, which they founded in 1884 shortly after Toynbee's death. William Ashley (1860-1927) is known for his tireless building of the commerce department at University of Birmingham to become one of the best in England. His work, The Economic Organisation of England (1914), was used as a set text in many high school and university courses for decades. Educated at Oxford he was influenced by Benjamin Jowett and especially by the economic historian, Arnold Toynbee. He was also influenced by the German Historical School, dedicating his inaugural lecture as professor of political economy and constitutional history at Toronto University to Gustav Schmoller. Perhaps Ashley is the English thinker closest to the German Historicists. During the years 1900-1906, Ashley wielded some political influence on the Conservative government's economic policy, notably arguing against Joseph Chamberlain's plans for tariff reform. An opponent of laissez-faire, he was also a proponent of imperialism. His 1903 work, The Tariff Problem, detailed his arguments against the compulsory imposition of heavy tariffs against the importing of any goods produced outside of Britain and the Empire, a policy known as Imperial Preference. The economists of the English historical school were in general agreement on several ideas. They pursued an inductive approach to economics rather than the deductive approach taken by classical and neo-classical theorists. They recognized the need for careful statistical research. They rejected the hypothesis of "the profit maximizing individual" or the "calculus of pleasure and pain" as the only basis for economic analysis and policy. They believed that it was more reasonable to base analysis on the collective whole of altruistic individuals (Goldman 1989: 223-225). The prime reason why the deductive method, derived from Ricardo and being followed by Fawcett and Cairnes, was not applicable, stemmed from the need to derive a political economy from the circumstances of each country (Leslie 1879: 411). Deductive methodology: A model for a deductive theory is a set of objects that have the properties stated axioms. The deductive theory is then used to prove theorems that are true for all its models at one time (James and James 1968). Inductive method: Mathematical induction is a method that proves a law or a theorem by showing that it holds in the first case and if it also holds for all the preceding cases, it also hold for this case (James and James 1968). From these short definitions, it is immediately clear why the historians of the English Historical School embraced the inductive method. Typical in this endeavor was Richard Jones, regarded by many as the father of the English historical school of economics. Jones' method was inductive; his conclusions were founded on a wide observation of contemporary facts, aided by the study of history. The world he professed to study was not an abstract world of abstract people, but the real world with the different forms which the ownership and cultivation of land, and, in general, the conditions of production and distribution, assume at different times and places (Reinert 2007). This was his protest against the deductive methodology in social economics: the practice of taking the particular state of affairs in a small corner of our planet as representing the uniform type of human societies, and ignoring the effects of the early history and special development of each community as influencing its economic phenomena (Reinert 2007). [T]he essence of induction was "the colligation of facts by means of a concept." In other words a wide range of facts should be brought together to support a conclusion. A theory could be considered confirmed if many independent inductions from experience are unified and fit together within the theory (Whewell 1847). [T]he explanation of the past and the prediction of the future are not different operations, but the same worked in opposite directions, the one from effect to cause, the other from cause to effect. As Schmoller well says, to obtain "a knowledge of individual causes" we need "induction; the final conclusion of which is indeed nothing but the inversion of the syllogism which is employed in deduction…. Induction and deduction rest on the same tendencies, the same beliefs, the same needs of our reason. (Marshall 1890). Historical economists of the nineteenth century also rejected the view that economic policy prescriptions, however derived, would apply universally, without regard to place or time, as followers of the Ricardian and Marshallian schools did. Robert Lowe, one of Leslie’s main opponents, had claimed that “Political economy belongs to no nation; it is of no country” (Leslie 1879: 148). Political economy is not a body of natural laws in the true sense, or of universal andimmutable truths, but an assemblage of speculations and doctrines which are the result of a particular history, coloured even by the history and character of its chief writers; that … it has varied much in different ages and countries; … that, in fact, its expositors, since the time of Adam Smith, are substantially divisible into two schools, following opposite methods. …No branch of philosophical doctrine, indeed, can be fairly investigated or apprehended apart from its history (Leslie 1879: 148-9). [I]t was Leslie who had provided "the first systematic statement by an English writer of the philosophic foundation of the historical method, as the appropriate organ of economic research," referring to the "freshness and originality" of his treatment. (Ingram 1967 : 222). It has already been noted that several members of the EHS had significant mathematical and statistical expertise. They applied this to their work in economics. Richard Jones, as all members of the School, was very keen in studying and analyzing statistical data from the past, and along with Charles Babbage, Adolphe Quetelet, William Whewell, and Thomas Malthus, was instrumental in founding the London Statistical Society (later "The Royal Statistical Society"). 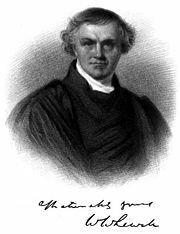 William Whewell, another member of the School, a member of the Royal Society and a man of whom John Herschel wrote, “a more wonderful variety and amount of knowledge in almost every department of human inquiry was perhaps never in the same interval of time accumulated by any man” (Stephen 1900), pioneered the graphical representation of data and its use in theoretical investigations. He used his unique “graphical method of curves” throughout his tidal studies, and, in turn, used his tidal researches as an explanation of the process of data reduction and analysis in his Philosophy of the Inductive Sciences (Whewell 1847). In a number of articles, James Henderson (1973) argued that Whewell's 1850 Memoir used a mathematical statement of a "demand elasticity coefficient as a device to identify Giffen goods … forty-five years before Alfred Marshall." Noting the difficulty in locating evidence in Giffen's work from which Marshall could have derived his "hint," Henderson suggests Whewell as a possible source. Although Marshall did not refer to Whewell's work, "it is hard to believe" that he was "unaware" of it, so there is "a possible link between Whewell and Marshall with respect to the Giffen paradox" (Henderson 1973: 329, 339). And, finally, Thorold Rogers, was, in 1859, appointed professor of statistics and economic science at King's College, London, a post which he filled till his death. Although critics claim that English historical economics was too diffuse, too lacking in strong leadership, too atheoretical, and too committed to economic history as a discipline to create an actual “school,” there are some very positive achievements of the EHS. Although in Britain it never quite dominated academia, it was particularly influential through the medium of important journals and newspapers such as Walter Bagehot's The Economist. The special contribution of the EHS in the pre-war period was certainly not in theory, since one of the chief reasons for it being an alternative to Alfred Marshall's school of orthodoxy was that it paid relatively little attention to economic theory. Rather, its alternative economics offered central conception: The economist's raison d'etre was to solve pressing contemporary problems for which orthodox theory seemed to offer little guidance. Thus, its members proposed curriculum that emphasized applied subjects and economic history (Koot 1975). In the process the EHS introduced quantitative methodology, such as: statistics, graphical plots, and, as in case of William Whewell, some very pioneering methods of mathematical economics. That they were committed to the inductive method of mathematical logic was not only proper at the time, as they were historicists of most scientific areas, but perhaps their most important legacy to the future generations of economists and sociologists. Ashley, William J. 1897. The Tory Origin of Free Trade Policy. Quarterly Journal of Economics. Retrieved December 16, 2007. Backhouse, Roger E., and Peter Cain. 2001. The English Historical School of Economics. Bristol: Thoemmes Press. ISBN 1855069040. Cliffe Leslie, T. E. 1870. The Political Economy of Adam Smith. Fortnightly Review. Retrieved December 16, 2007. Goldman, Lawrence. 1989. Entrepreneurs in business history. The Business History Review 63(1): 223-225. Henderson, J. P. 1973. William Whewell's Mathematical Statements of Price Flexibility, Demand Elasticity and the Giffen Paradox. The Manchester School 41(3): 329-42. Hodgson,Geoffrey Martin. 2001. Alfred Marshall and the British "Methodendiskurs." How Economics Forgot History: The Problem of Historical Specificity in the Social Sciences. Routledge. ISBN 0415257166. Ingram, John Kells. 1888. A History of Political Economy. Retrieved November 8, 2008. James, Glen and Robert C. James. 1968. Mathematics Dictionary. Princeton, NJ: D. van Nostrand Co. Inc. ISBN 0442040881. Koot, G. M. 1975. T. E. Cliffe Leslie, Irish social reform and the origins of the English historical school of economics. History of Political Economy 7 (3): 312-36. Leslie, T. E. C. 1879. Essays in Political and Moral Philosophy. Dublin: Hodges, Foster and Figgis. OCLC 3898539. Leslie, T. E. C. 1870. The political economy of Adam Smith. Fortnightly Review reprinted in Leslie 1879: 148-166. Leslie, T. E. C. 1876. On the philosophical method of political economy. Hermathena IV, reprinted in Leslie 1879: 216-242. Marshall, Alfred. 1890. The scope and method of economics. Principles of Economics. Retrieved December 16, 2007. Reinert, Erik S. (ed.). 2007. Globalization, Economic Development and Inequality: An Alternative Perspective. Cheltenham: Edward Elgar Publishing. ISBN 978-1847204721. Rogers, Thorold. 1880. "Editor's Preface." An Inquiry into the Nature and Causes of the Wealth of Nations. Retrieved December 16, 2007. Spiegel, Henry William. 1991. The Growth of Economic Thought. Durham & London: Duke University Press. ISBN 0822309734. Stephen, Leslie. . 1997. The English Utilitarians. Thoemmes Continuum. ISBN 1855060906. Toynbee, Arnold. 1884. Lectures on the Industrial Revolution of the 18th Century in England. London: Rivingtons. Digitized 2006, Google Books. Retrieved November 9, 2008. Tribe, Keith. 2002. Historical Schools of Economics: German and English. Keele Economics Research Papers KERP No. 2002/02. Retrieved November 3, 2008. Whewell, William. 2007. The Philosophy of the Inductive Sciences: Founded upon their History. Kessinger Publishing. ISBN 978-0548645284. Whewell, William. 1850. Mathematical Exposition of Some Doctrines of Political Economy: Second Memoir. Transactions of the Cambridge Philosophical Society 9: 128-49. Whewell, William. 1971. On the Philosophy of Discovery. Lenox Hill Pub. ISBN 0833737643. History of "English historical school of economics"
This page was last modified on 23 September 2013, at 14:33.